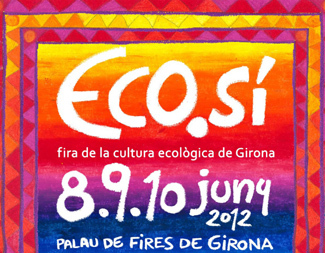 Humana shares in the 8 to 10 June in the seventh edition of the Ecological Culture Fair ECO.SI, held in the Palace of Congresses of Girona, with the aim of presenting the social farming program of the Foundation. Therefore, the organization will present the social farming program on Sunday 10, at 11 am, in room 3 of the Trade Fair in order to give full details of this program. Humana parts from their experience in projects of farming and food security in developing countries in the South to promote sustainable agricultural models in Catalonia between organizations also play a social work or because they specialize in organic production or because they work within the scope of exclusion. *Sant Tomas-PARMO Association: selected for its farming project in the Vic Plain. *Company Amunt.Ebre d'insertions: draft processing and marketing of organic food products linked to the inclusion of people at risk of social exclusion. *Agro-Eco Punt: draft hortoterapia with people at risk of social exclusion in the city of Lleida.